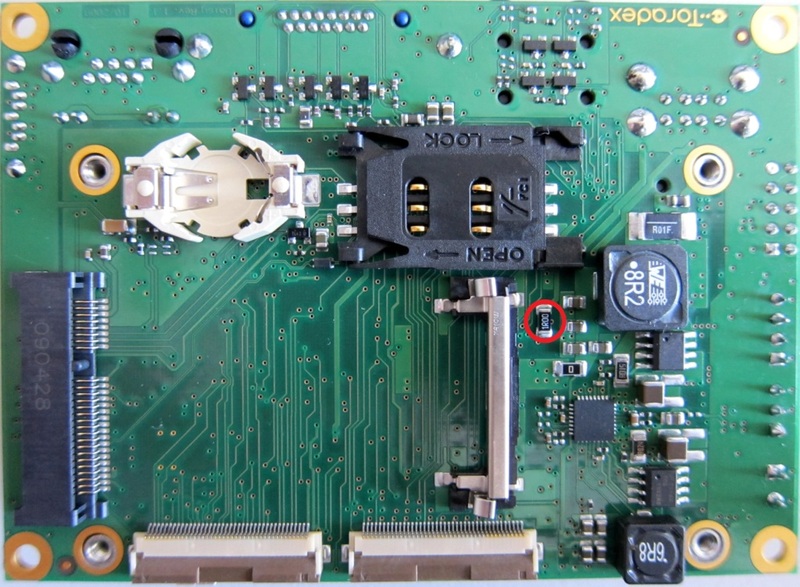 The resistance red circled in figure connects the 5V Standby Power Rail of the module with the 5V Standby Power Rail available on Daisy Board. If the boot mode is set to “Auto” it is possible to get a power button less booting by removing the above mentioned resistance. If the standby voltage is missing, in fact, the module will boot directly without waiting for the power button signal.